To understand Republic and its place in movie history, we must go farther back, to the time when Brooklyn native Herbert J. Yates, who was already wealthy enough to retire at 30, cast his eye on the record and film industries. In 1918, he began buying struggling record labels and film processing labs, including Republic Laboratories. The tremendous success of his Consolidated Film Industries (CFI) made it financially possible for Yates to gather under one roof six different Poverty Row production companies—Mascot, Monogram and four others—to create Republic Pictures in 1935. Each of these companies brought talent, property and technical expertise to the merger. Among the actors who found themselves at the new studio was John Wayne, who was still in the middle of the B-picture part of his career. Mascot had Gene Autry , who was making a name as a singer but was just getting started in movies. 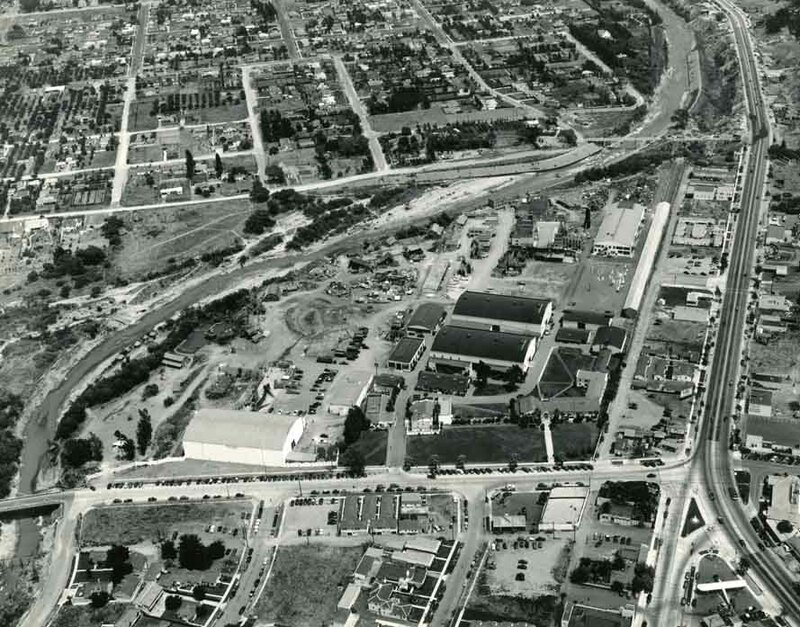 And down the road was Roy Rogers, who Yates hoped would draw audiences away from Autry. Rogers ended up not replacing Autry, when it came to fan demand, but Yates wasn’t complaining; he had the two biggest singing cowboys stars in the world. What really distinguished Republic from other low-budget production houses was the quality of the pictures it produced. Not only were the Westerns the best looking, best directed Oaters in the B market, but the serials were better budgeted and written than most of Republic’s competition. One of Republic’s foremost secret weapons was William Witney, who began directing while still in his early 20s. He set new standards for action sequences in his serials and Westerns. As the Autry pictures and other films continued to show sizable profits, and as John Wayne was gaining star power following 1939’s Stagecoach, Yates began planning bigger pictures with larger budgets. He set in motion a program to make movies in four categories, based on cost, length of production and other factors. Yates and his people knew Westerns. They had the facilities, and he had Wayne. The 1940 film Dark Command was Wayne’s first A-Western at Republic. Wayne’s Stagecoach costar Claire Trevor played the female lead. Wayne became Republic’s most prominent star, even through his second real breakthrough, 1948’s Red River, was a few years down the road and was produced at another studio. Still, Yates’s willingness to go the extra mile for top talent brought John Ford to Republic. Ford promised Yates he’d make a guaranteed John Wayne box office hit, Rio Grande, if Yates would green light another Ford project with Wayne, The Quiet Man. Yates had little faith in the latter picture, but today, those two films are ranked among the highest works in both Wayne’s and Ford’s career, and they are certainly two of the best movies in Republic’s history. Wayne famously worked to convince Yates to let him make his Alamo project at Republic, even though he eventually gave up and went elsewhere, severing, finally, his relationship with Republic. Yates turned around and made his own Alamo film, 1955’s The Last Command, starring Sterling Hayden, which cost far less and was less spectacular than Wayne’s 1960 film The Alamo, but which was arguably a better picture. 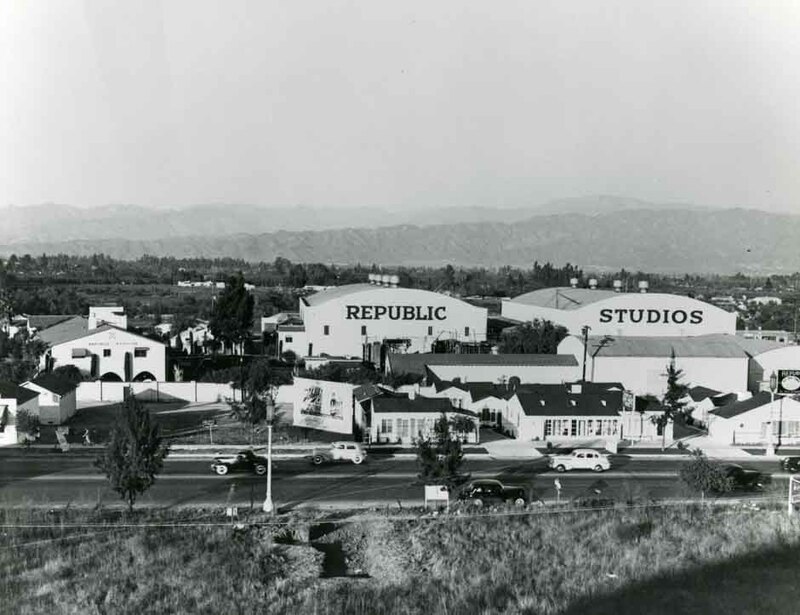 Republic was the first of the studios to jump into TV production, and they used stock footage from their movies in some of their shows, including a Western series, Stories of the Century, which aired from 1954-55 and pointed the way to the adult Westerns that followed, including 1955’s Gunsmoke and The Life and Legend of Wyatt Earp. Republic Pictures stopped producing original material at the end of the 1950s and the beginning of the 1960s, and Yates died in 1966. But his studio still lives, having been passed down from one corporation to another over the years, and the name does reappear in motion pictures every now and then. Today, it is owned by CBS TV. The largest collection of Hollywood photos and vintage photos of hollywood is on the hollywoodphotographs.com website.